Despite being the 76ers’ best offensive option night in and night out, and thus facing constant double teams, Allen Iverson was still seemingly able to score at will. He was so quick on the dribble, he would often beat a double team before it could even develop. His lightning-quick drives and acrobatic finishes around the rim were legendary. The four-time scoring champion averaged more than 30 points per game four times, all in a Sixers uniform. His quick feet on offense were matched by his quick hands and natural instincts on defense, which led to a career average of 2.2 steals per game. That number ranks him ninth in NBA history. 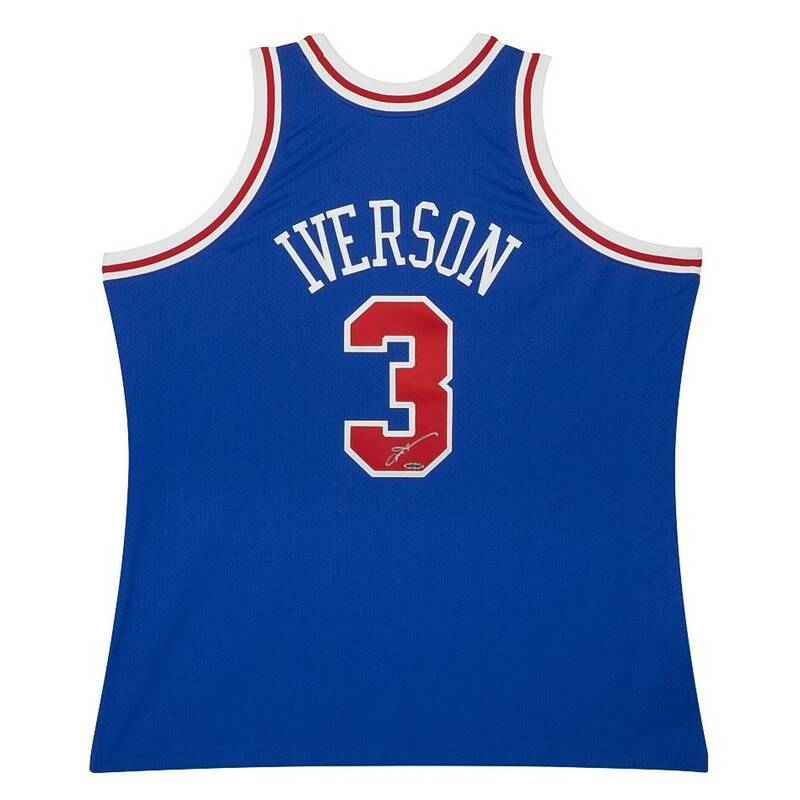 Iverson has autographed this Mitchell & Ness ‘96-97 Blue 76ers Jersey in silver paint pen.